I don’t know if I had a “Sensory Processing Disorder” when growing up and my parents probably assumed that I was simply a strange child. There are certain things that still bug the crap out of me like getting my neck wet. I absolutely cannot stand having a wet neck! Is this normal? And getting my feet wet when wearing socks is another traumatizing event from my point of view. Maybe I still need to grow out of it? Living in the Pacific Northwest in Vancouver, BC, rain and wet conditions are a normal part of life. I try to avoid spending too much time in the rain but once in a while, I have no choice but to spend extended periods of time in wet conditions. Since I’m not a fan of rain boots, I believe that I may have found the perfect product for avoiding wet feet. 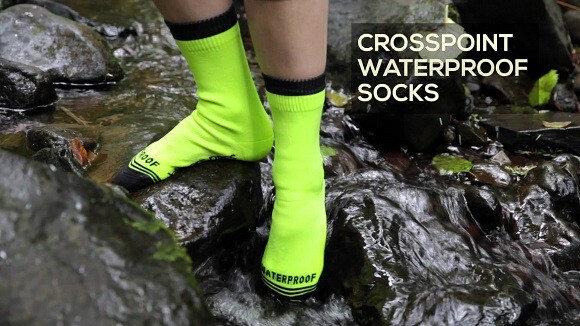 The Crosspoint Waterproof Crew Socks by Shower Pass are designed to keep your feet dry even if you’re standing in still water just in your socks! These Crosspoint Waterproof Crew Socks are ideal for those who enjoy the outdoors in all-weather conditions or for people that have to work outdoors. Whether you’re out in the field in the forestry industry, the oil industry, or even doing deliveries in the concrete jungle; these socks will keep your feet completely dry. The socks are constructed from three different layers. The exterior of the socks is knit giving it the feel and look of an ordinary sock. The portion that touches your foot is made from wicking fabric to keep any sweat away while the inner most layer is a waterproof membrane. These three layers working together provide sound protection for your feet against all types of moisture but most importantly, rain. So if you are interested in having “rain boots” without actually wearing them, then consider the Crosspoint Waterproof Crew Socks available over at Shower Pass. This would make an excellent gift for those who really enjoy the outdoors or have no choice but to work outside. 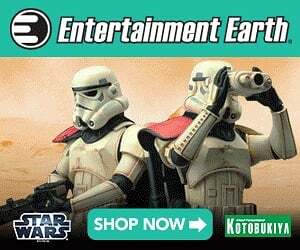 More details available at the company website.